Mississippi Considering Legislation to Limit Property Liability | Merkel & Cocke, P.A. The Mississippi House of Representative voted in February 2019 in favor of a bill called the “Landowners Protection Act,” according to a report in the Sun Herald. The state senate previously passed its own version of the bill. Since the versions are different, an agreement will have to be reached on a single version before the bill can be sent to the Governor for signature. The bills limit the right of visitors to file claims against property owners for failure to protect customers and visitors. Under current premises liability law, if someone is hurt while shopping in a retail store, placing wagers at a casino, getting food in a restaurant, or using someone else’s property for most any reason, the property owner can be held accountable for negligence. Generally, property owners have a duty to make their floors, parking lots, stairways, elevators, and premises safe for customers. 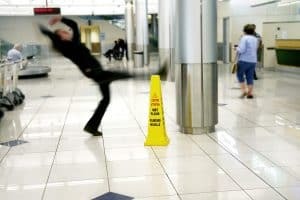 Common accidents that can happen when visiting any type of business include slips and falls, being struck by a falling object, and being attacked while on the property. Property ownership law applies to any company, organization, or homeowner that owns or leases the property. The laws also apply to maintenance and repair companies. Currently, property owners are liable if they have actual knowledge or constructive knowledge of a property defect. Common defects include broken tiles, torn carpets, loose railings, and poor lighting. Where money is likely to be exchanged or handled, such as at a casino, property owners should take reasonable steps to protect the safety of those placing bets or making purchases from people who might attack or steal from them. The new legislation would end the constructive knowledge requirement. Constructive knowledge essentially means that the property owner is liable if it should have reasonably known there was a danger and they failed to take corrective steps. Constructive knowledge places a duty on the property owner to make routine inspections to look for defects. By eliminating the constructive knowledge requirements, property owners will now only be accountable for dangers they actually knew about. Another part of the Senate bill that was passed before the House version makes it harder to collect damages when property owners and others are held liable. For example, if the repair crew at a casino fails to repair a torn carpet, it could be held liable along with the casino owner. If the repair company is found 70% at fault and the casino owner 30% at fault, then each company pays their respective percentage of the damages. The problem is that that the repair company may not have enough insurance to cover the damages. Currently, the casino owner would have to pay what the repair company could not. Under the new laws, the casino owner would only pay its 30% even if the repair company didn’t have any insurance. Consumers visit properties often for the financial benefit of the property owner. It is not too much to ask that the property owner take steps to protect the very people who are helping their business by buying their products and services. The Mississippi premises liability lawyers at Merkel & Cocke, P.A. have the experience and resources to help accident victims get justice. We fight to show that property owners knew of the dangerous condition that caused your injuries. For help now, please phone us at 662-799-1633 or use our contact form to schedule an appointment in Jackson, Clarksdale, or Oxford.